Mules and Men – loudlatinlaughing – Euge! Euge! This 1935 publication of African-American folklore is groundbreaking—the first compiled by an African-American and not some derisive white male. 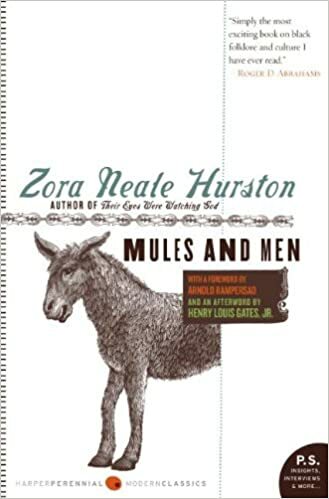 Instead, Zora Neale Hurston returns to her hometown in Florida to gather stories—lies, as they’re commonly called—and then pokes around various spots in the South, ending up learning Hoodoo (voodoo to us whites) in New Orleans. The whole trip was funded by Mrs. Osgood Mason of NYC, giving Hurston enough runway to gadabout for a year collecting stories.